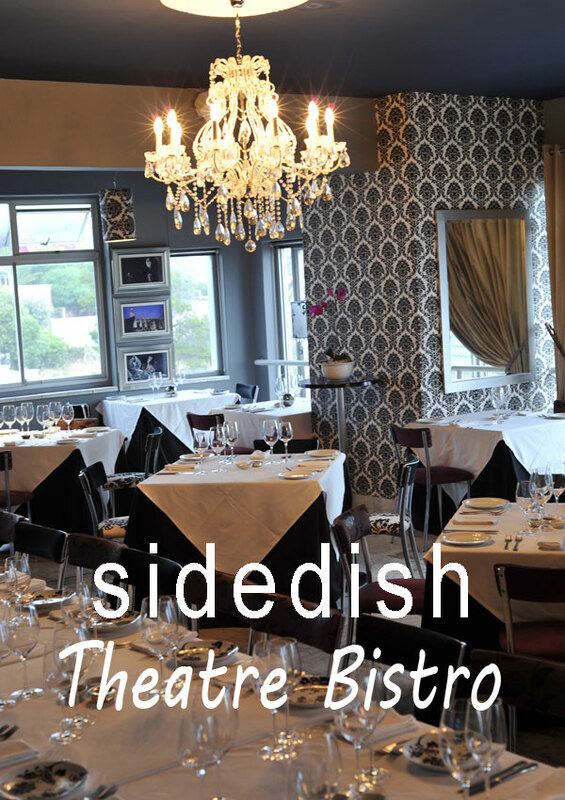 The Sidedish Theatre Bistro on the first floor of Theatre on the Bay, is managed by Dish Food and Social, who also run The Red Table Restaurant at Nederburg Wine Estate, the Racing Association’s The Paddock Room at Kenilworth Racecourse and the newest addition to their group of niche restaurants, The Polo Club on Val de Vei estate in Paarl. Owner of Dish Food and Social, Andrea Foulkes, counts herself very lucky to be making her living while doing something she’s passionate about. Whereas many people work to live, she and her team cook because they love food, and they go to parties because they love people. The ‘food & social’ part of the company’s name is there for a reason! Since starting in Andrea’s home kitchen during the course of 2002, Dish has cooked for some of South Africa’s best-known corporates, as well as many of Cape Town’s leading lights. From large events, such as the Nederburg Auction, Loerie Awards, Durban July, J&B Met and Fleur du Cap Theatre Awards, to catered home dinners or fairy tale weddings, Dish applies the same passion for food and attention to detail to everything they do. Dish Food and Social also manage the bar and coffee bar at Theatre on the Bay, as well as the events held in the beautiful Bill Flynn VIP Room on the second floor overlooking the Twelve Apostles and the bay. Dish also arrange the catering for all Pieter Toerien Productions presented at Artscape. Make a night of it at Theatre on the Bay by enjoying a relaxed dinner before the show, with dessert at the interval. To book the dinner/theatre package or to reserve a table in the restaurant, please contact our Box Office on 021 438 3300 | 021 438 3301, ext 1. Please note that there is no wheelchair access to the restaurant. – Monday to Friday and the late show on a Saturday: Please be seated by 6:15pm to be served three courses and by 6:45pm to be served two courses before the start of the show. Dessert can be enjoyed at interval, or after the show if there is no interval. – Dinner is served after the early performance on a Saturday. – The restaurant opens at 6pm. – Gratuity is not included in the menu prices. All bookings of 6 or more diners are subject to a 10% gratuity on the food and drink totals. – 14% VAT is included in all prices. – Corkage is R40 per bottle and is the same for sparkling wine as it is for wine.